When in doubt, go to the library!" - To avoid plagiarism by giving credit to the original source of an idea, piece of information or resource. - To support your work with the authoritative work of another author. - To demonstrate your knowledge and familiarity with a topic that you have researched. - To help readers of your work to find the original source of information or ideas that you have used. - Any quoted text - use quotation marks when directly using someone else's words. - Any idea or information paraphrased or summarised from a source which is not common knowledge. As you do your research, keep a list of all the sources that you use. Keeping a record of these details will help you to find the source again if you need to refer to it, and will also form the basis of your reference list. Alternatively, you can add your found websites to your browser Favourites or use a social bookmarking tool like Diigo. - Book = Author. (Date of Publication). Title of Book, Place of Publication: Publisher. Eg. Burns, M. (2013). Kite Making. Sydney, NSW: Random House. - Journal Article = Author. (Date of Publication). Title of Article, Title of Journal, Volume(Issue No), Page numbers. ​Eg. Hay, L., & Todd, R. (2010). School libraries 21C: The conversation begins. Scan, 29(1), 30-42. Note: It is a requirement that all students in NSW complete HSC All My Own Work before they can enroll in any Year 11 Preliminary courses. In your senior years of high school your teacher may require you to include In Text Citations. APA in-text citation style uses the author's last name and the year of publication, for example: (Field, 2005). 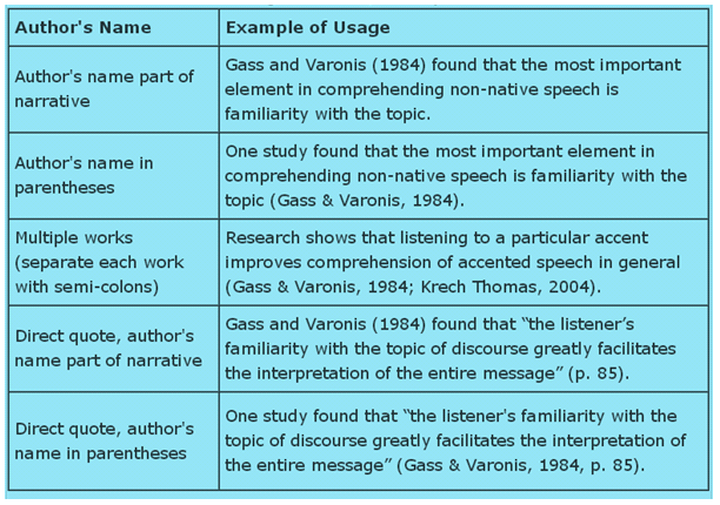 For direct quotations, include the page number as well, for example: (Field, 2005, p. 14). For sources such as websites and e-books that have no page numbers, use a paragraph number. Within the text of your paper, include an in-text citation when you refer to, summarise, paraphrase, or quote from another source. For every in-text citation in your paper, there must be a corresponding entry in your reference list. Then citethisforme.com is your friend! Citethisforme is a handy online tool that takes the pain out of referencing and In Text citation. 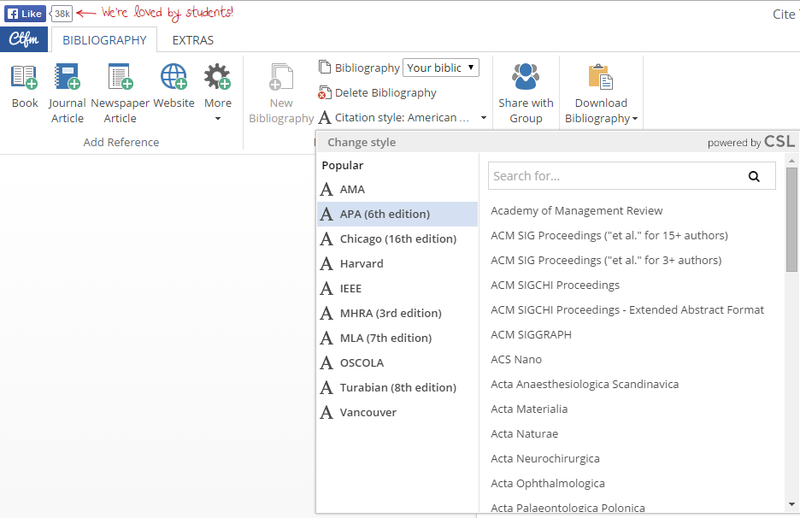 It will even collect and collate a downloadable Bibliography for you! Note: APA is now the preferred referencing style for most Australian universities. Some teachers might require you to add footnotes to your paper. Footnotes are references that occur at the end of each individual page within your paper. Microsoft Word makes it incredibly easy to add these to your paper. You can add footnotes in the Footnotes section in the References tab.